Report No 266 of the Law Commission of India, published on 17 March 2017, touches upon several aspects and issues regarding the state of the legal profession in India. The problem of lawyers’ strikes and consequent wastage of judicial time is discussed vis-à-vis the report. 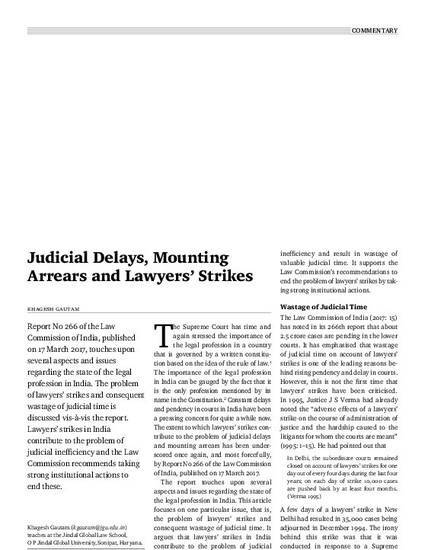 Lawyers’ strikes in India contribute to the problem of judicial inefficiency and the Law Commission recommends taking strong institutional actions to end these.